The green design takes over modern backyards offering water-saving ideas that minimize waste. Collecting rainwater is one of the garden trends which brings practical designs into Green living. 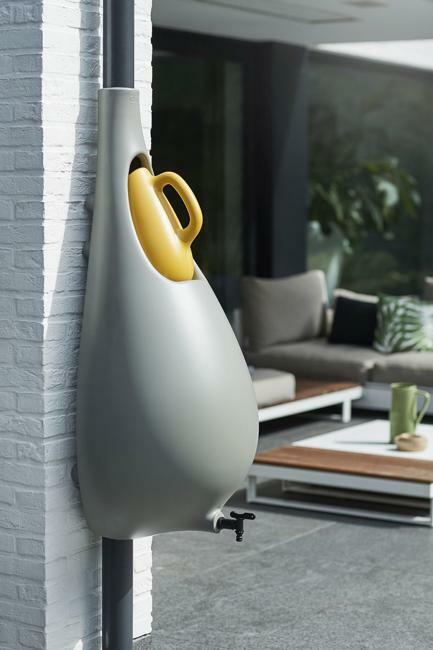 Lushome presents a contemporary barrel with an integrated watering can design by Studio Bas van der Veer. 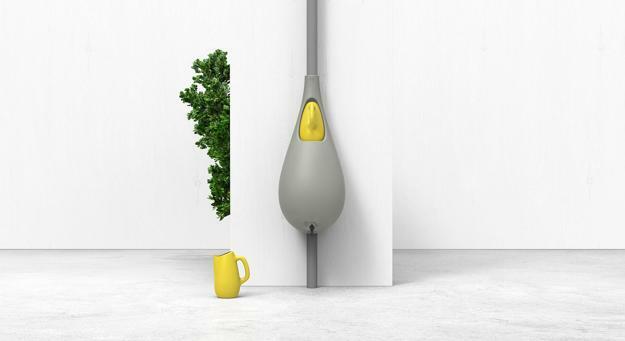 It collects rainwater and adds a beautiful, modern accent to your wall, improving the functionality of your house design and making your home eco-friendly. Waste of water is a huge problem. Harvesting rainwater and recycling it is an essential part of bringing Green living ideas into everyday life. The beautiful wall-mounted barrel helps to do so without sacrificing the functionality, attractive look or style. 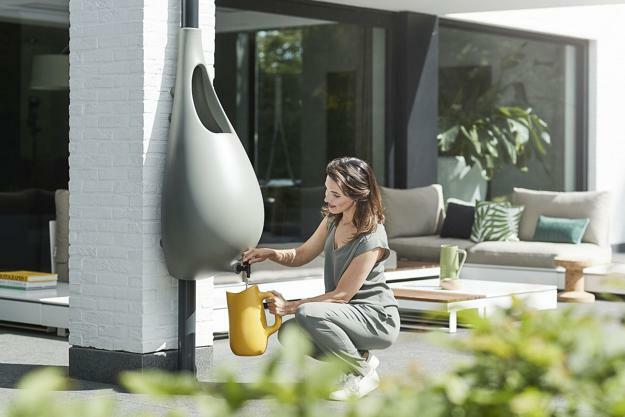 Raindrop designed by Studio Bas van der Veer blends with a wall or a porch post and elegantly decorate the yard. Raindrop barrels are ideal for contemporary eco homes. The Green design inspired by traditional rain barrels feature a watering can which fits inside of the barrel. The contrasting colors and appealing shapes add to the aesthetics of modern backyards. The design of the slim and elegant rain barrel in contemporary style looks innovative and bright. A watering can add a colorful accent to outdoor home decorating and make it unique. The rainwater barrel blends the functionality and appeal, decorating outdoor spaces and enhancing natural gardening ideas. A tap at the bottom allows attaching watering hoses and pipes. The contemporary rain barrel makes water recycling effortless, convenient, and stylish.